Admiral Darlan becomes Vichy Vice-Premier. In a radio broadcast, Churchill warns Bulgaria against joining the Tripartite pact. U-boats and Fw 200 Condor bombers sink 5 of 16 ships in Allied Convoy HG-53 off the Azores (3 more will be lost in the coming days). 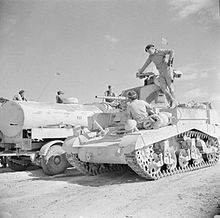 British take El Agheila, Libya, but the advance halts. By dawn the Japanese 5th and 18th Divisions have firmly established themselves and begin to advance south-east towards Singapore city. French liner Normandie, which had been seized by the US and renamed the troopship USS Lafayette, burns at pier in New York, capsizes next day. US institutes War Savings Time: year-round daylight savings time. US Department of Justice requires German, Italian, and Japanese nationals to register for Certificates of Identification by Feb. 28. Britain begins to ration soap (4 oz/month). The Red Army captures Belgorod. US secures Guadalcanal; in the campaign, 1700 Americans killed and 40,000 Japanese. President Roosevelt orders a 48-hr work week in war plants. The Germans capture Aprilia in the Anzio beachhead. British and Canadians troops smash the first of the main Siegfried Line defence zones. The last Rhine bridge is blown in the Colmar Pocket. Half the German Nineteenth Army were evacuated, but General De Lattre’s forces have taken 22,000 German prisoners since the 20th January. US Seventh & French Armies clear Colmar Pocket and Alsatian Plain and drive Germans over Rhine south of Strasbourg, France. The Red Army encircles Elbing and Posen. In rare sub vs. sub combat and the only documented case in naval history where both were submerged, British submarine Venturer sinks U-864 off Norway.